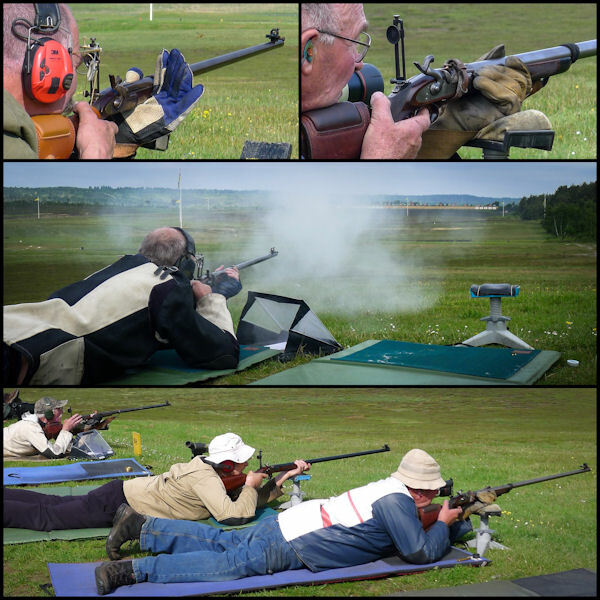 Members spent a full day shooting at 1000 yards on Bisley's 'Stickledown Range' on Sunday 5 June 2016. The Branch 1000 yard Championship is a demanding 30 shot course of fire, completed over two details, one morning and one afternoon. Shooting was hard work in the unbroken sunshine we had nearly all day, after light cloud cleared. Congratulations to Championship winner Alan Back, 2nd placed Ken Watson and 3rd John Whittaker.